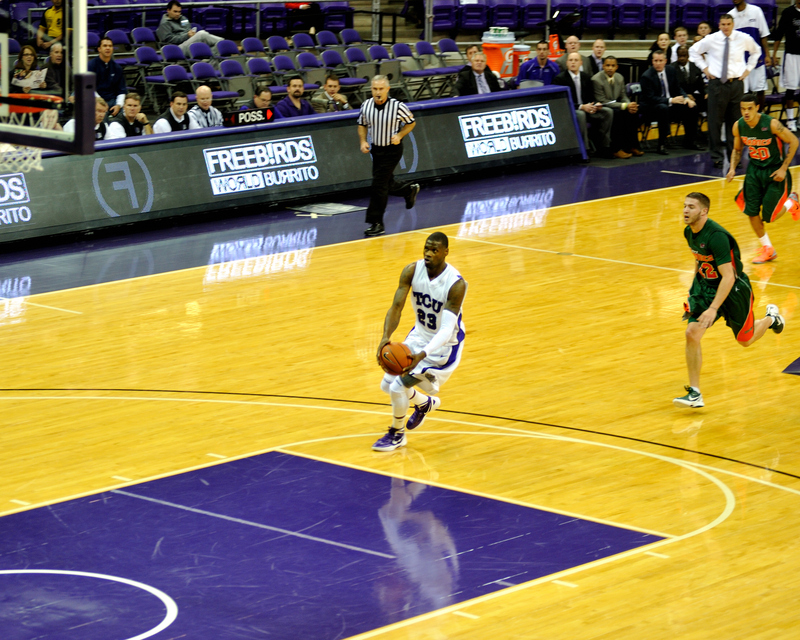 These images are from my first attempt to shoot basketball. 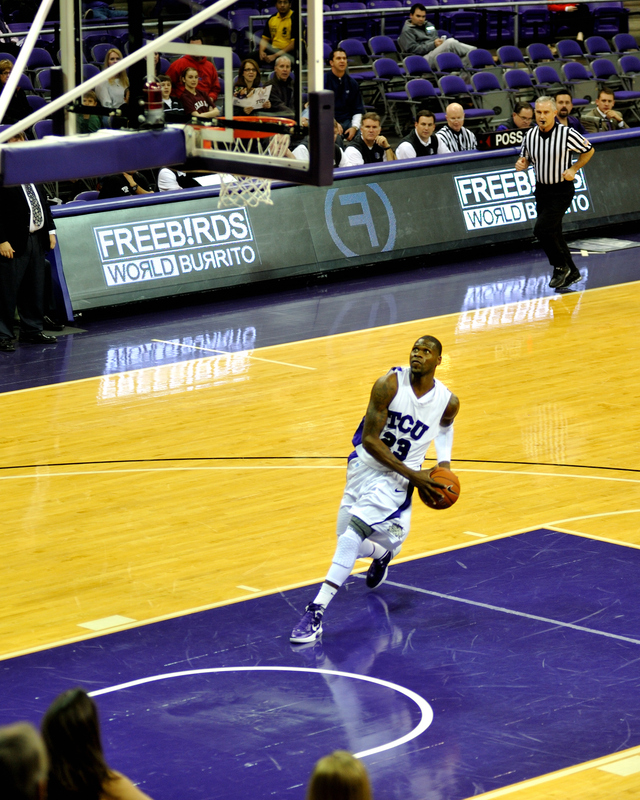 I was shooting from my seats at TCU’s Daniel Meyer Coliseum. I was using a Nikon 80-200mm f/2.8 AF-D lens handheld with the Nikon D700. Lessons learned include using a faster shutter speed (used 1/500) and exposure compensation to make up for the poor lighting. If I had been real serious about getting true keepers I would have moved closer to floor level. On this day I was there to practice and learn something while enjoying a TCU win. 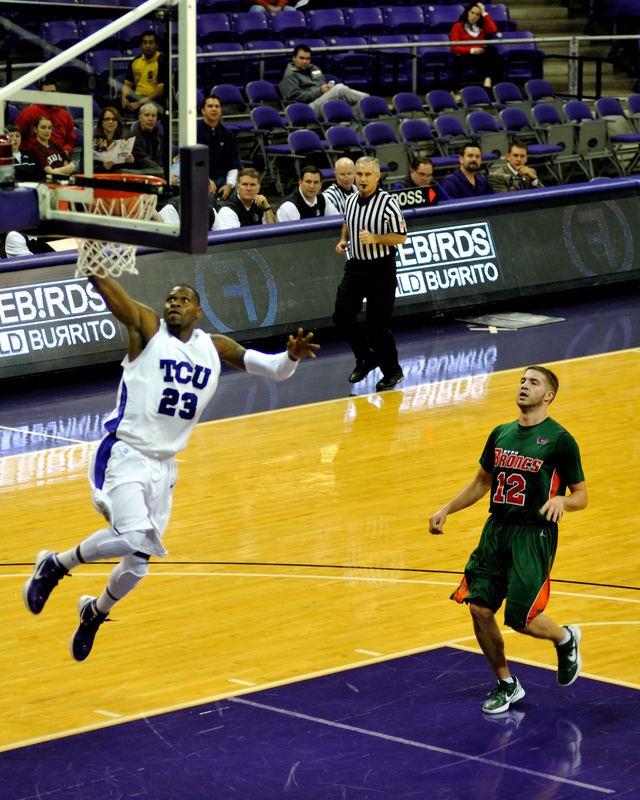 Kyan Anderson goes high for a finger roll against UT Pan Am.